JOINT BASE MCGUIRE-DIX-LAKEHURST, N.J., June 16, 2017 – The joint search by Kenworth, the U.S. Chamber of Commerce Foundation’s Hiring our Heroes Program and FASTPORT to find America’s top rookie military veteran – who has made the transition from active duty to driving for a commercial fleet – continued recently at Joint Base McGuire-Dix-Lakehurst (MDL). More than several hundred military personnel and their spouses attended the two-day Hiring Our Heroes transition summit and hiring fair at the base. 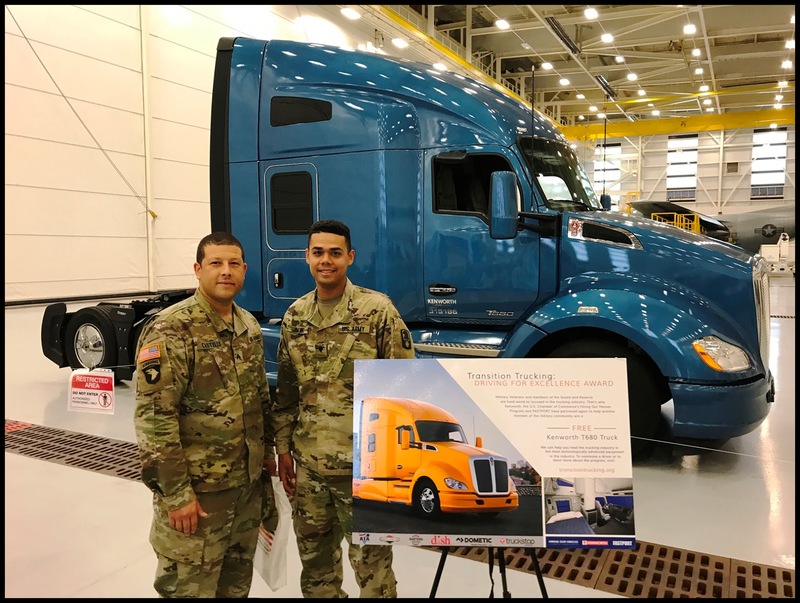 As part of its efforts to support veterans, Kenworth displayed its on-highway flagship T680 with a 76-inch sleeper and PACCAR MX-13 engine to encourage those transitioning out of the military to explore trucking industry opportunities. For the second consecutive year, Kenworth is donating a fully loaded Kenworth T680 Advantage as the Transition in Trucking “Driving for Excellence Award” to the top military veteran who has successfully transitioned into the role of a commercial fleet driver. Full criteria and online nomination forms can be found on the “Transition Trucking: Driving for Excellence” website at: www.transitiontrucking.org. The top 10 finalists will be announced on July 21, and recognized on Aug. 26 at the Great American Trucking Show in Dallas, Texas.